Pinterest is the perfect place to create digital vision boards, plan special events, or look for beauty and fashion inspo. Now the platform is adding a new feature which will make finding all the beautiful things you actually want to see even easier. 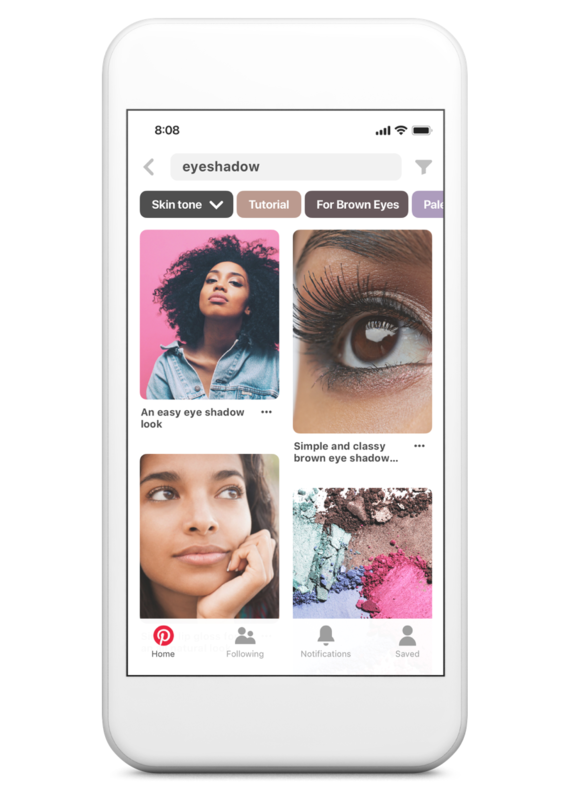 Their new feature lets you search based on skin tone ranges, which will certainly come in handy when looking for personalized makeup trends, ideas, tutorials, and even hair hairstyles. If you're wondering which bold lipstick compliments your skin best, Pinterest will help you find what you're visually looking for. This search filter is already available on desktop, but as of today, it'll also be available on mobile. 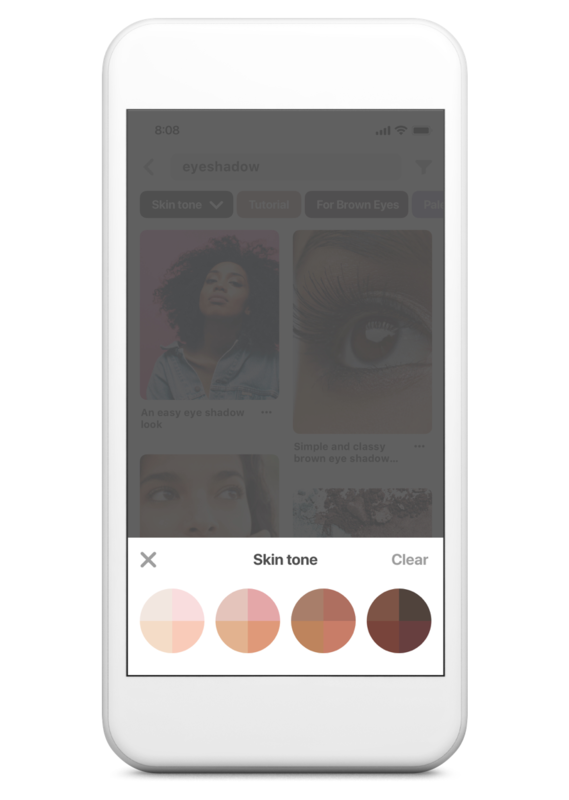 Including skin color as a search filter was something they needed to address based on demand. "Last year, nearly 60% of the top 100 search terms for skin-related searches involved a tone, such as dark skin, pale skin, and olive skin, which showed us women of all skin types wanted a way to customize their searches. This feature is a result of our Technical and Inclusion & Diversity teams working closely together. By combining the latest in machine learning and more inclusive product development, we’re able to directly respond to Pinner feedback and build a more useful product," Pinterest said in a press release sent to As/Is. Other quick stats: Billions (with a B) of beauty pins have been saved by pinners, beauty is one of the most searched categories, and women using Pinterest are more than twice as likely to experiment with different makeup trends compared to other platforms. Now I'm off to find the next beauty trend I want to try this year. BRB.